The Toronto Maple Leafs will celebrate their Centennial season in 2016-17 and it looks like the city will be pulling out all the stops. News broke Saturday that Toronto will host the 2017 NHL All-Star game. This would be the first time the city has hosted the festivities since 2000. Dating back to when the team was celebrating their move to their new home in February 1999 at the Air Canada Centre. On top of the All-Star game, Toronto will also host the return of the World Cup of Hockey and potentially an outdoor game. 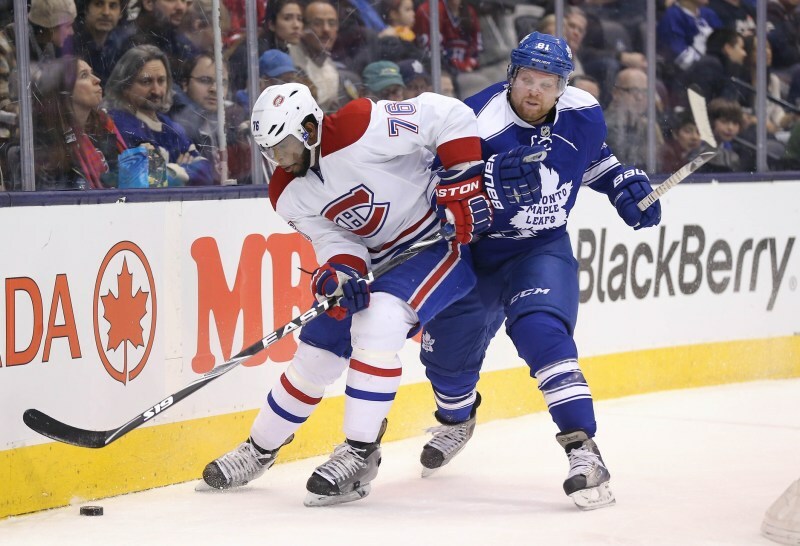 Early rumours suggest the game would pin arguably the biggest rivals in NHL history, the Leafs and Montreal Canadiens against one another. The World Cup is expected to take place from September 17-October 1, 2016. It will be the first World Cup of Hockey since the 2004 edition which also took place in Toronto. The newest installment of the event is already getting some buzz due to the format that has been drawn up. The 2016 World Cup will include the top six countries in the world, Canada, United States, Russia, Sweden, Finland, and the Czech Republic. On top of that, a team of the best European All-Stars from other European nations and a team constructed of the best North American stars under the age of 23 will compete. Meanwhile The Hockey News’ senior writer Ken Campbell announced Saturday that a source close to the league said that an outdoor game in Toronto is in the works. The game is expected to be against the Habs and take place at the Rogers Centre. Source with close ties to NHL ownership tells me Toronto will get All-Star Game and an outdoor game in 2017 to mark 100th anniversary. The dome has a capacity of 54,000 people and with a retractable roof the game has the potential to be played with a beautiful backdrop of the CN Tower or closed if the weather becomes an issue. Maple Leafs president Brendan Shanahan mentioned this weekend that he was hoping to make the Leafs’ 100th season a big one. He apparently reached out to the Canadiens organization and asked about holding a Centennial season and if having all these events in the city would be too much. The Habs celebrated their 100th year in the NHL in 2008-09. With so much hype around the city, it will be interesting to see if the spotlight being on the Leafs, even more than it already is, will persuade management to make some moves to improve the team. The Maple Leafs currently sit 10 points out of the final Wild Card Spot in the Eastern Conference and have struggled mightily to score of late. 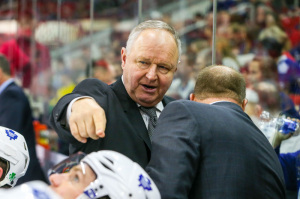 Earlier this month the team fired head coach Randy Carlyle, feeling the team needed a change. Since his dismissal the team has gone 1-6-0 and has been shutout three times. The team is in need of some changes to get back to their former winning selves. The team is currently 3-14-0 in their last 17 games after going 10-1-1 prior to that. The team still lacks a legitimate number one centre and their defence is always in need of an upgrade. However, Shanahan has made it clear since joining the Leafs organization, that it is a process and he will not be looking for many quick fixes. It will be interesting to see if he tries to make any deals not just to make the playoffs, but to be sure the team and city aren’t embarrassed during their celebration. Phil Kessel and the Leafs were the heart of a few jokes during Friday night’s fantasy draft with pokes from players on the idea that Kessel isn’t coachable and a reference to the trade involving him and Tyler Seguin. The events are another reason for hockey fans in Toronto to get excited and the fact that the organization is planning for the important year already shows how much it means to them. And with the eye on the biggest hockey market in the league, we can expect them to do it big.